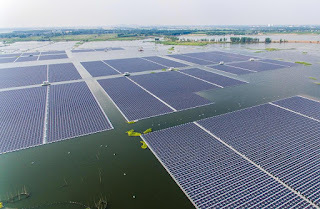 A number of nations including China are chasing this idea...placing massive solar panels on bodies of water to maximize absorption of solar energy and allow the solar panels to operate with greater efficiency. China is leading the way in emerging solar technology. 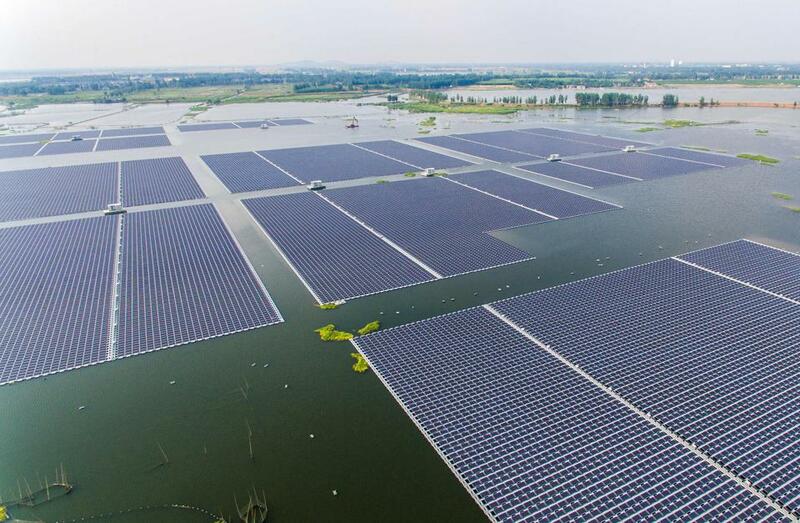 It opened the world's largest floating solar farm in 2017. It's on top of a lake that formed after an abandoned coal mine collapsed. The system's 166,000-panel array generates 40 megawatts of power which is enough to power 15,000 homes. A larger solar farm in the same locale is opening. That will generate 150 megawatts and power 94,000 homes. Overall, China installed 2 times more gigawatts of solar capacity than the US last year. It contributes almost half of the world's total solar capacity. Floating the solar panels on water protects farmland and wildlife on the ground. The water cools the solar panels making them run more efficiently. The Chinese are investing more than $360 billion in clean energy projects and vow to create 13 million renewable energy jobs by 2020. They're making one of the world's biggest investments in alternative energy and solar is leading the way. The United Kingdom and Japan are doing similar projects. Japan is trying to outdo the Chinese solar farms in size and capability. The motivation for solar is rising concern over air pollution, particularly in China, where it causes needless deaths. The new floating solar farms are part of a global shift away from energy generated by fossil fuels.